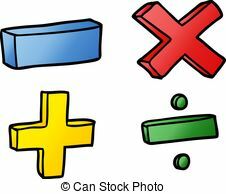 As a dyslexia assessor and tutor I get asked countless times if I can support students with maths and parents often question if their child has dyscalculia, especially if they are struggling and already have a dyslexia diagnosis. Of course we know that many SPLDs are coexisting but that doesn’t mean to say if you have dyslexia, you will automatically have dyscalculia, if you’re having maths difficulty. Recently I embarked upon a training day held by Steve Chinn and Judy Hornigold, this focused solely on the diagnosis of dyscalculia. 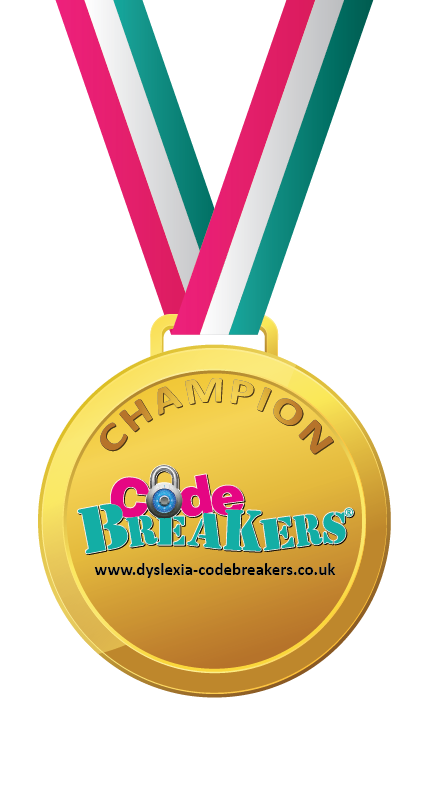 As an experienced dyslexia assessor, I have to say there was still a lot to learn, so be careful of dyscalculia screeners, particularly computer based screeners cannot observe a students responses. The key thing I learned from my training, is to ask a student, “How did you get to your answer’, reveals so much and plays a major part in evaluating dyscalculia. Unfortunately a computer based screener cannot ask or measure these very subjective answers. Steve Chinn has kindly allowed us to offer his checklist. However with an air of caution, do not self diagnose using the checklist, seek the assessment from a professional who can support and advise correct interventions. 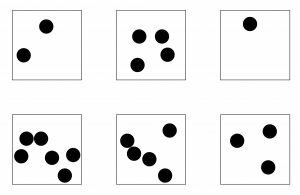 We must always remember that overlapping conditions such as visual processing and language skills can impact upon the development of maths. 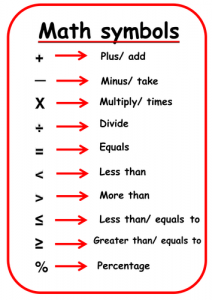 What words do you use in maths? Does you child/student understand them all? I know I have a visual processing difficulty, although words sit still when I’m reading, I struggle to track along columns, I find it hard to reverse shapes and replicate 2D images from shapes, so naturally I wasn’t surprised when I struggled to subitise. 1, 2 ,3,4 numbers are easy for me, but the bottom 2 on the left I find I have to count. Looking for longer I can see the bottom left is really 2 sets of 3 but it’s not an automatic response. 1+9,2+8, 3+7, 4+6, 5+5, 6+4, 7+3, 8+2, 9+1,10+0 etc but instead random numbers were retrieved rather than sequential logical information. It worried me when 7+3 was followed by 8+3. Clearly he’d not identified he’d written a similar sum and that it was greater than 10. I also gave worded questions such as, ” I want to buy 3 oranges for 25p each, how much will it cost?” He could work this out with mental arithmetic. When I asked how he’d write it as a maths problem he wrote 25 +25+ 25. Ok it’s a correct method but not efficient when you want to work out sweets cost 3p each and I want to buy 19. This is written as 3+3+3+3+3+3+3+3+3 etc. It’s clear he knows how to work out the sum but he could have written 19 x 3. As it was, his 3 times tables were not secure and he couldn’t make the correct answer. The ability to add and subtract 3 digit numbers was consolidated but asked to write a number such as three hundred and ninety-five (395) posed a problem. 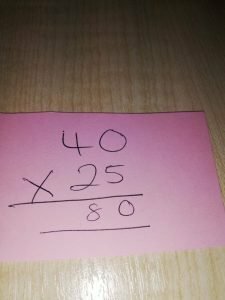 Working out the sum of 40 x 25 was also difficult, the ability to estimate was also not present to establish if he was close to the correct answer. However he showed greater skills when given a length of string and asked to show roughly where half was, he was also confident with a quarter but when asked to show a third, I was asked if this was the same as three-quarters. The student helps his family out with practical activities and these types of skills have been learned. These are just some of the types of questions where you can observe the maths skills present for a child, maybe consider if there are language or visual difficulties present which may impact upon the processing skills. We don’t always need to provide students with lots of maths questions to learn where their areas of need are. For our students there can be a great deal of anxiety behind learning maths and we should be extremely cautious overly testing them, especially timed. However what’s very clear is the need to show students a very different and practical way of learning, rather than abstract numbers. For more information take a look at Steve Chinn’s website and equally Judy Hornigold have a lot to offer. 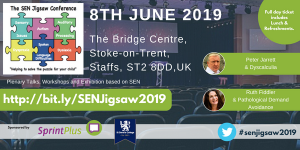 If you’d like to learn more, we’ll be offering a dyscalculia presentation for parents and education professionals at SEN Jigsaw 2019. If you are a professional educated to level 5 or level 7 please contact us about future training events on dyscalculia.